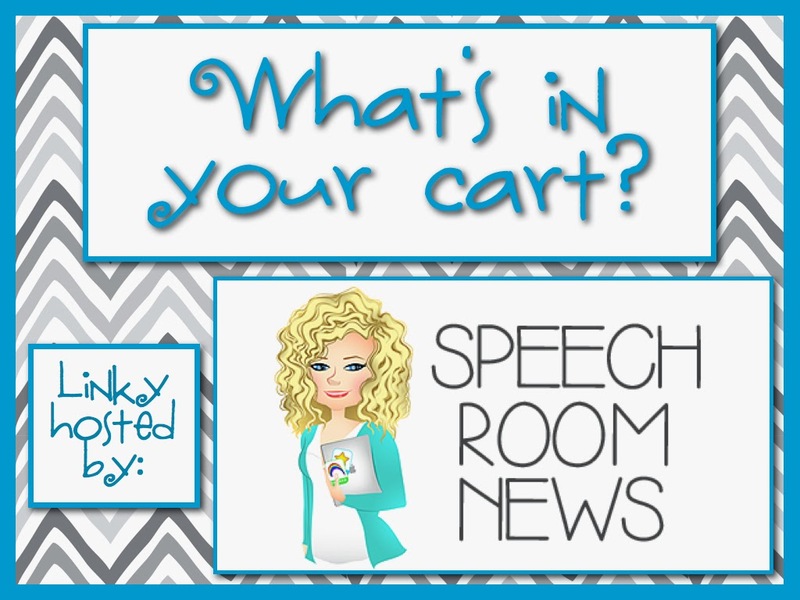 I am linking up with Speech Room News to share some of my purchases from the Teacher Appreciation TpT Sale. I was super excited to purchase The Moffatt Girls, I Can Read! No Prep Packet. My kindergarten students will benefit tremendously and increase fluency while reading simple sentences with this incredible resource. 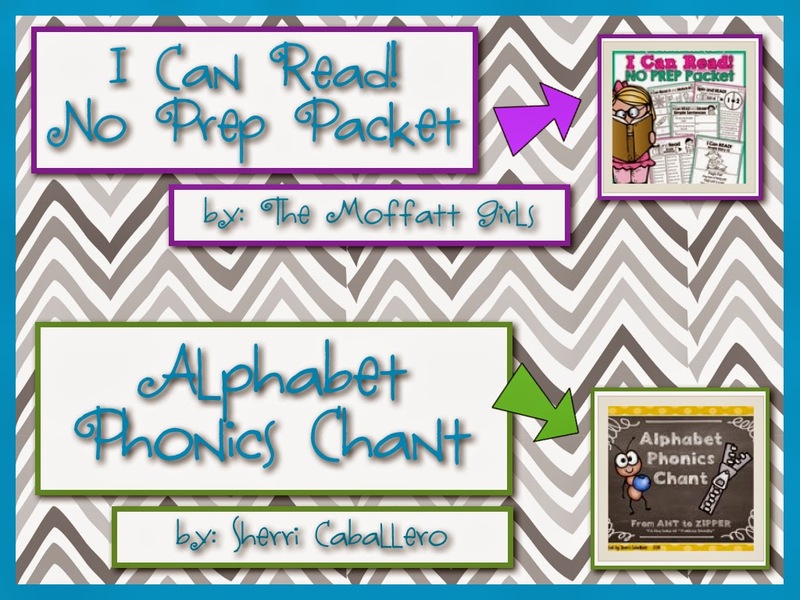 I also purchased Sherri Caballero's Alphabet Phonics Chant. This resource includes 60 total pages in PowerPoint slides that help reinforce letter/sound correspondence. Not only will my visual learners be learning, but my auditory and kinesthetic learners will also be engaged with this resource. I also purchased Sound Off! Sound Sorts for Phonemic Awareness by Kim Adsit and Megan Merrell. This pack was created to help students develop phonemic awareness with picture sorts. The picture sorts in this resource include beginning, middle and ending sounds. 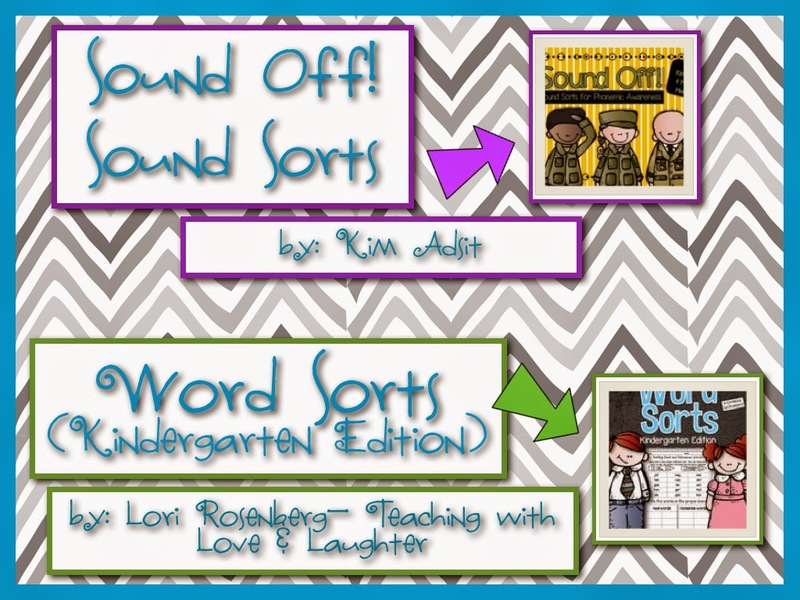 Finally, I purchased Word Sorts (Kindergarten Edition) by Lori Rosenburg- Teaching with Love and Laughter. This resource includes 42 pages of spelling pattern word sorts essential for kindergarten students. Can you tell that I am wanting to strengthen my 90 minute reading block? I am so excited to get these resources printed and ready to go for my incoming kindergarteners.